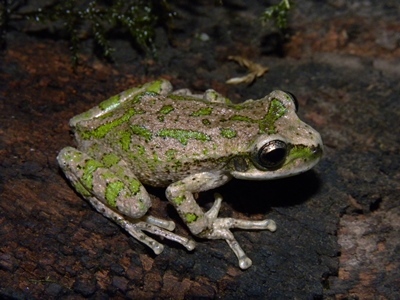 The plight of three species of Argentine marsupial frogs is a cause for major concern due to the lack of registries for almost two decades. The recent rediscovery of one of these species gives us hope that the remaining two missing species will also be rediscovered. Our project focuses on developing an effective conservation action plan for the rediscovered species, conducting an intensive field search to rediscover the missing species, and generating awareness about conservation of endangered marsupial frogs species and their habitat in Yungas Andean forests. We will reach our objectives by involving from government national park decision makers, with new registries of all species, and with a strong awareness-raising campaign. We aim to obtain an effective implementation of the conservation action plan, establish a searching/monitoring programme with parks rangers, and deliver outreach material to the public to raise aware about endangered marsupial frogs.